Upgrade the flooring in your office, shop, or boutique with the stunning hardwood flooring options at our store. This is also an easy way to improve the appearance and resale value of your home. With all of the options we have to offer, it has never been more convenient or affordable to dramatically transform your interior space. Our friendly and knowledgeable staff can help you discover the perfect match for your home or business décor with our wide range of engineered or solid hardwood. At our full-service flooring company, we offer sales, design assistance, and installation for all types of hardwood floors. We excel at helping customers choose the perfect type of solid or engineered hardwood floors for their specific needs. Take the stress and hard work out of the equation and trust in our experienced crew for help from selection to hardwood flooring installation. Once we finish with installation, your engineered or solid hardwood floor is virtually maintenance free. Choose from many different engineered and solid hardwood flooring materials when you want to upgrade your current flooring to elegant hardwood. We work with you to determine the best material for your budget and interior décor. If you have any questions, our design experts are on hand to help answer any of your flooring questions. 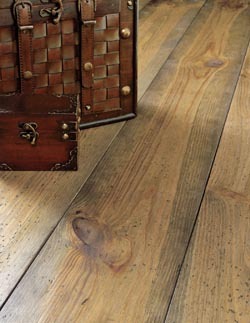 Our experts know how to enhance the appearance and value of your home or office with stylish and durable floor options. From unfinished solid hardwood flooring straight from the mill, to classy engineered hardwood that meets your specific flooring needs, we have something for every aesthetic preference. Rely on our flooring specialists to inform you about the outstanding characteristics of all of our floor options. When shopping for new hardwood flooring, the first thing you need to decide on is whether you want solid or engineered hardwood. Each type has its own distinct advantages. Homeowners love solid hardwood because it’s made from one piece, giving it a firm feel and high-end appearance. It has tremendous strength, the ability to support extreme weight without bending, and it is also easy to clean. The hardwood flooring installation process for solid hardwood is straightforward and quick, so you are sure to get a uniform and stable fit. Due to the high-demand for this type of wood floor, it is a smart long-term investment that greatly enhances the overall value of any home or business. Engineered hardwood is the most cost-effective type of hardwood available on the market. Despite its affordable price, it is extremely versatile and beautiful to behold. It is made with layers of plywood and fiberboard that give it flexibility, and it is therefore less likely to crack. The top layer is made from real hardwood, so it looks just like solid hardwood. One of its most beneficial features is its resistant to moisture, so you do not have to worry about warping if you place your engineered hardwood in areas that are exposed to water or moisture. You get to choose from all of the different species of wood we have available with engineered hardwood. This is even more advantageous when you consider that you can get any type of wood you want while still keeping the cost to a minimum. Our flooring experts can go over all the benefits of the different flooring options we offer and perform a professional hardwood flooring installation once you make your decision. Save time and energy when you hire our skilled team of hardwood flooring installation professionals to enhance the rooms in your home or business. Let us take care of everything for you. Our team does this type work every day, so we have the experience and knowledge necessary to ensure exceptional results. Invite us to your home or business and we’ll create wall-to-wall beauty. The installers we employ are trained and skilled in all aspects of installing floors, and we know how to handle any unexpected issues that may arise during the project. Let us turn your regular house into the home of your dreams. Contact us today to discuss what kind of hardwood flooring you desire. We are conveniently located to serve customers throughout Gonzales, St. Amant, Sorrento, Donaldsonville, Geismar, French Settlement, Maurespas, Pierre Part, and Napoleonville, Louisiana.